Pleasanton Meadows and Fairlands in Pleasanton California – Now, of course we always talk about location of our Tri Valley neighborhoods, but these 2 truly have it all with minutes to Downtown Pleasanton, shopping and to the I580 and the BART. So these quaint neighborhoods are positioned perfectly especially if you commute to Oakland or San Francisco for work. These homes, built in the late 60s and early 70s, range up to about 2,600 sq ft, many of which are on one of the dozens of cul-de-sacs and on modest lots of around 7000 and 8000 sq ft.
Have kids? Well then the pool, cabana and lovely greenbelt with playgrounds is going to be a staple for you and the family. Below is a list of the current available homes for sale, that is updated daily. 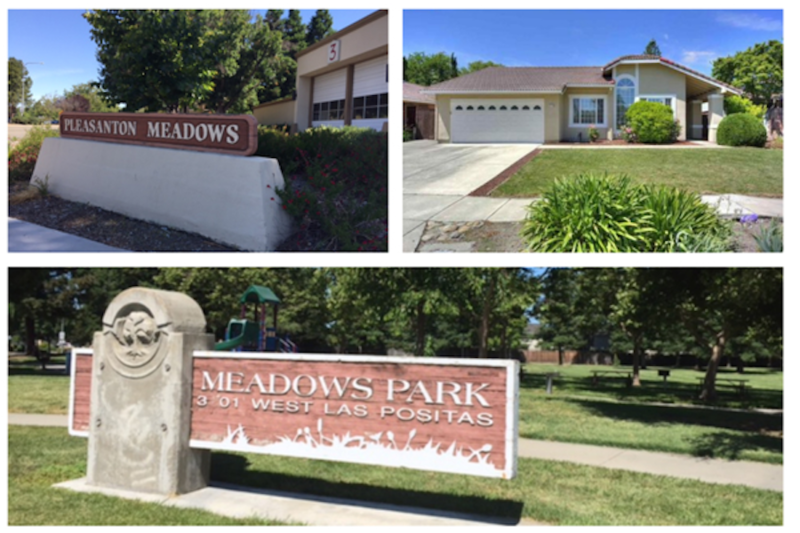 Contact us for more information on the Pleasanton Meadows and Fairlands neighborhoods in beautiful Pleasanton California.